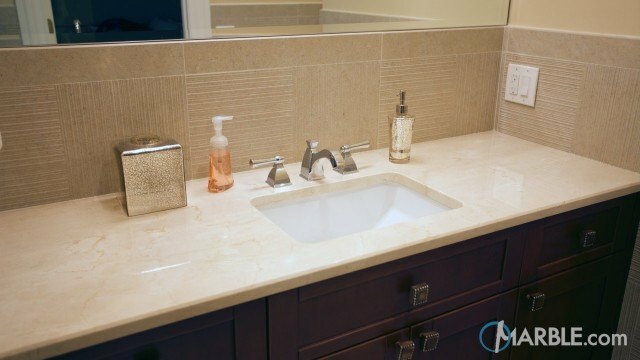 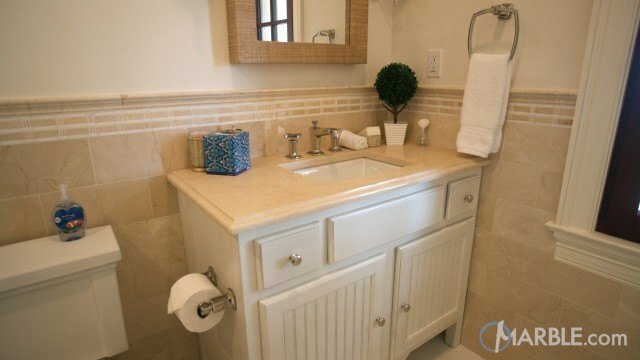 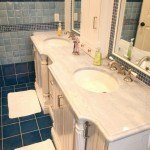 Classic White Quartzite with an Ogee Edge suits this bathroom perfectly. 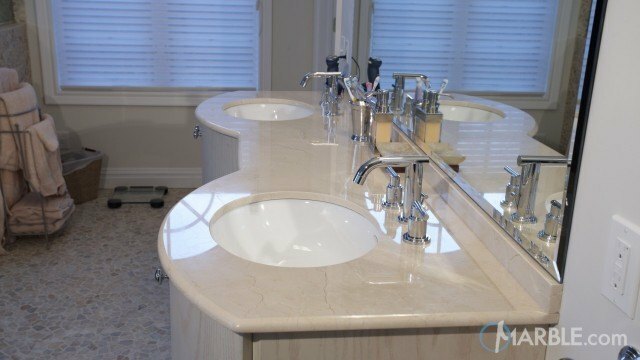 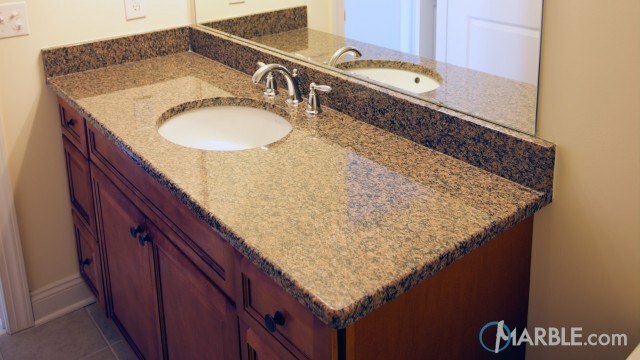 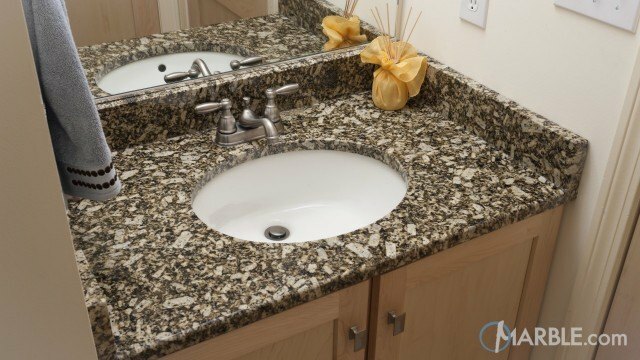 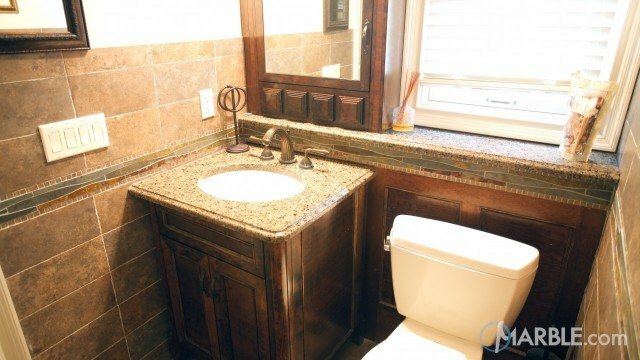 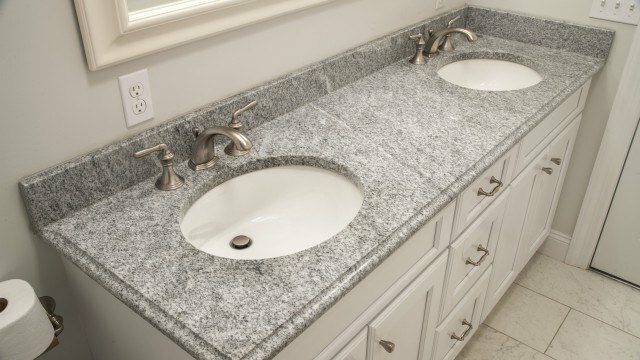 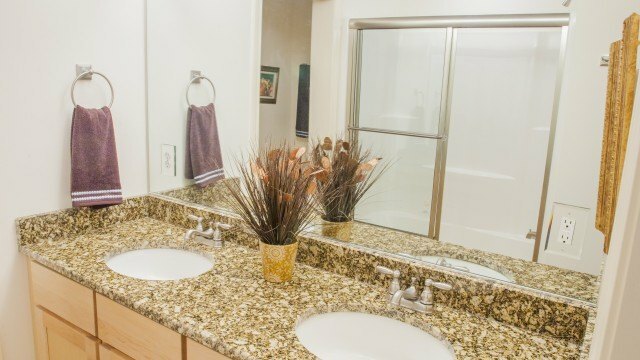 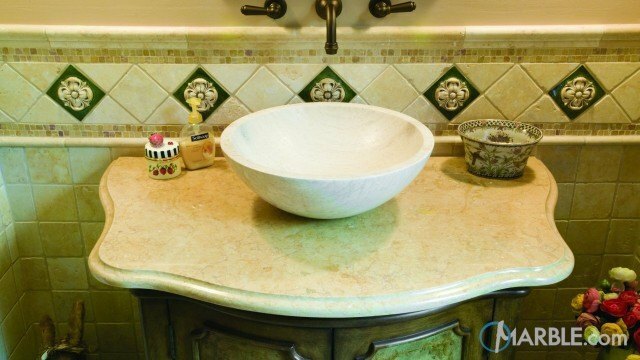 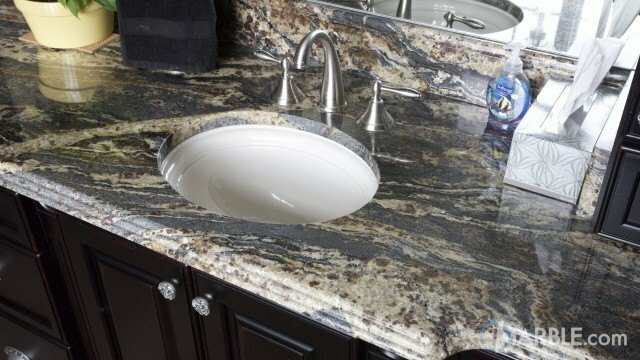 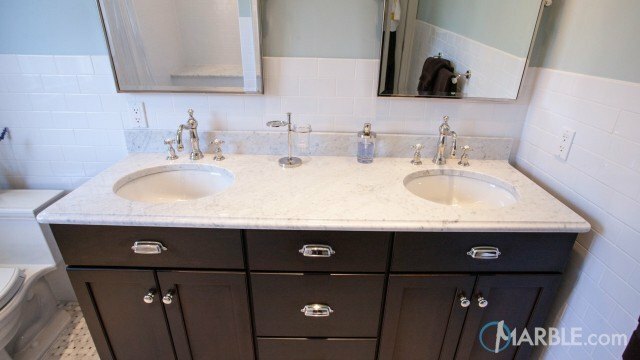 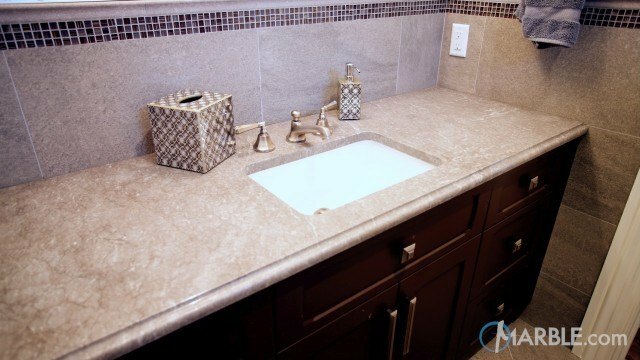 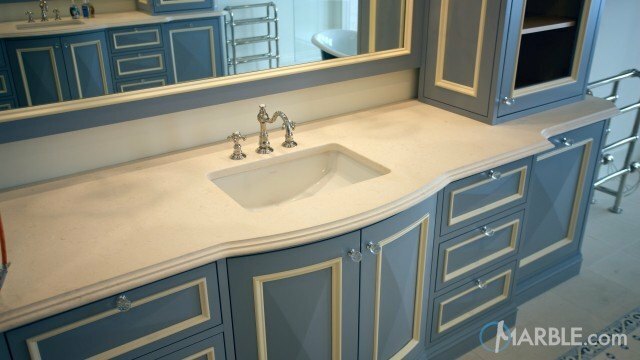 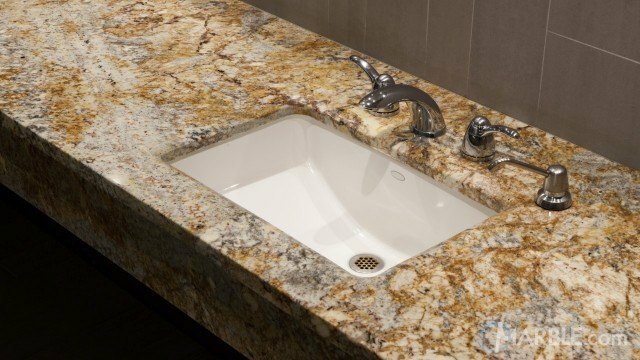 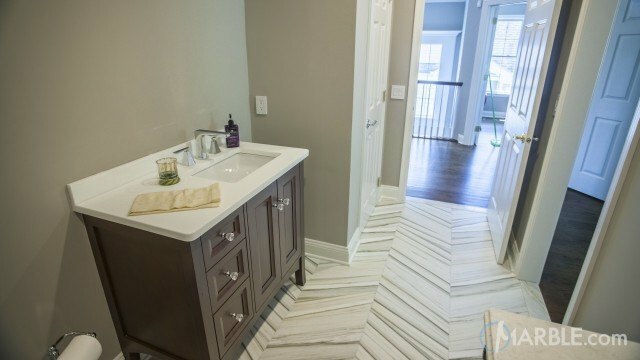 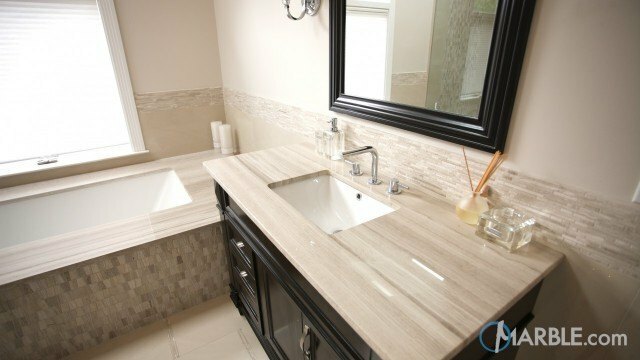 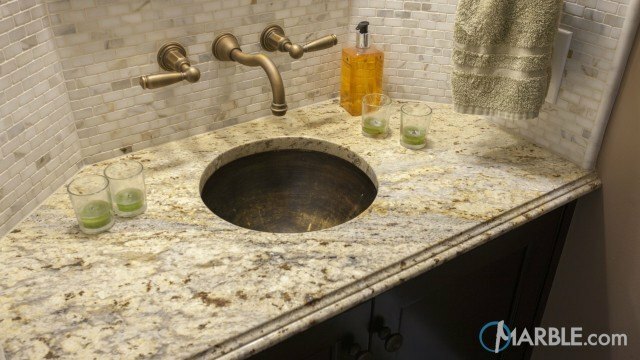 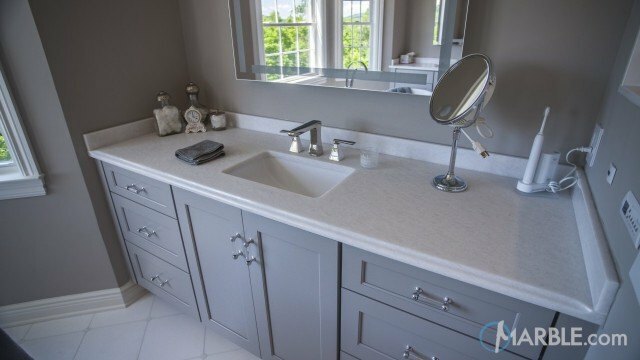 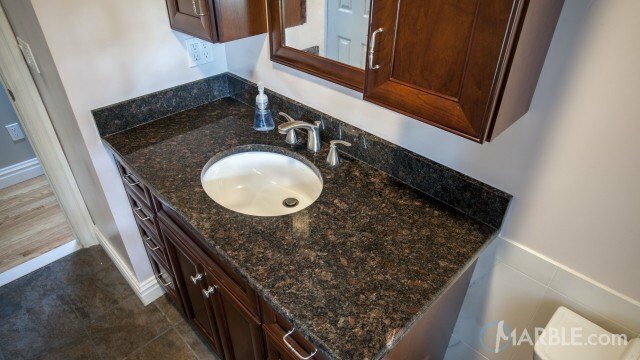 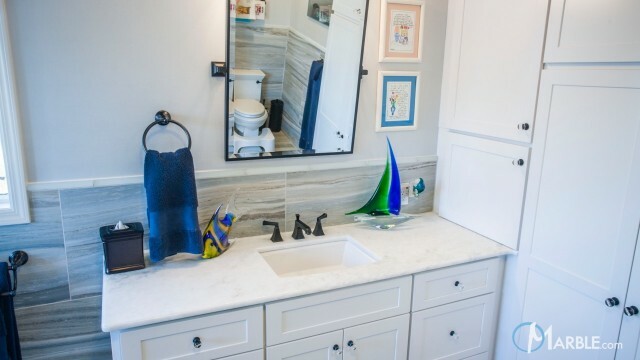 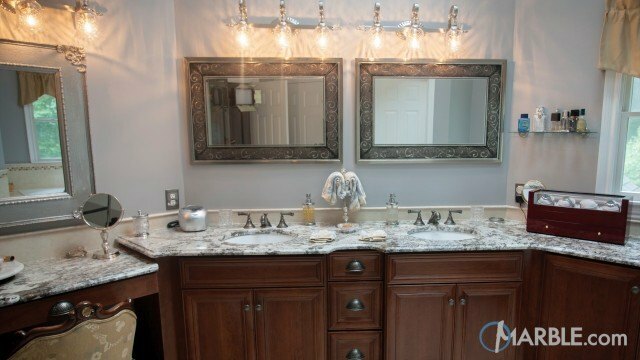 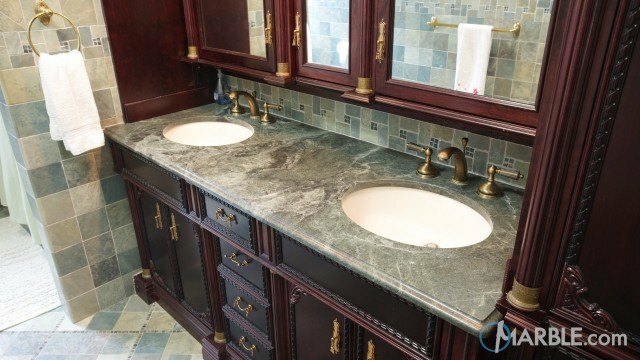 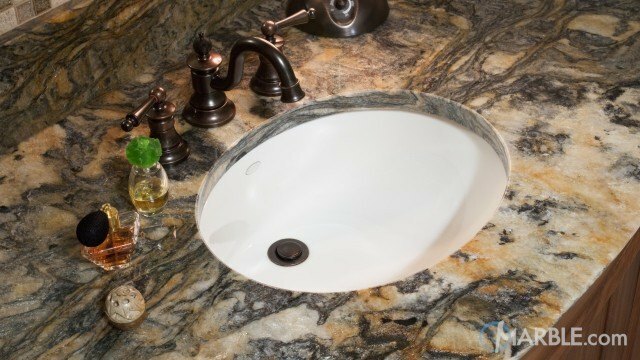 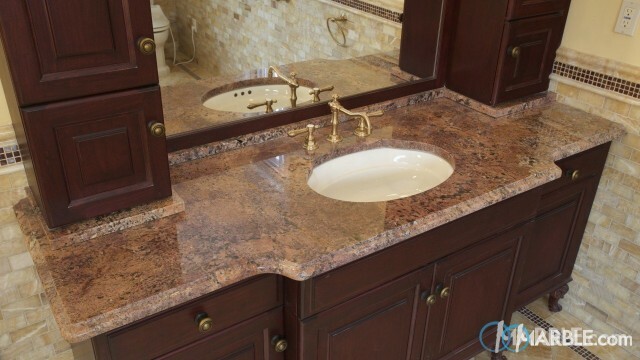 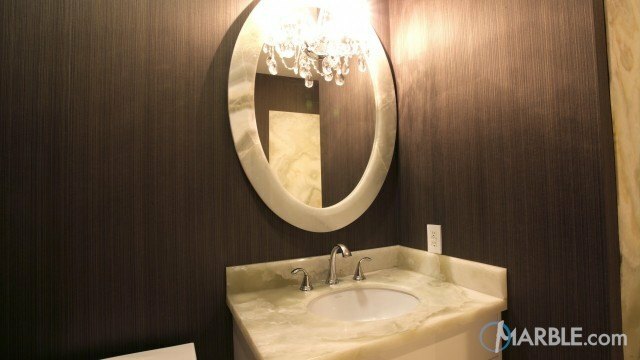 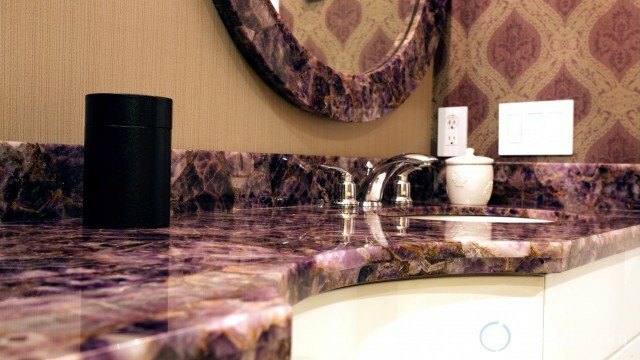 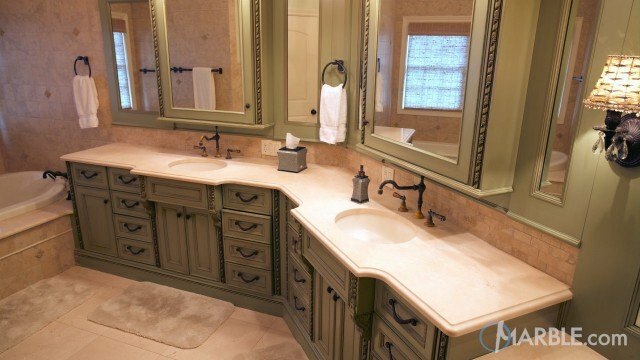 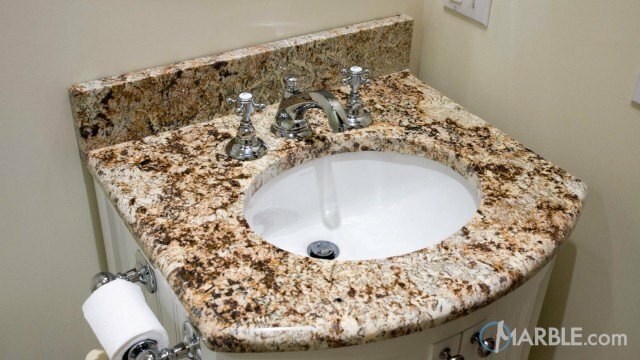 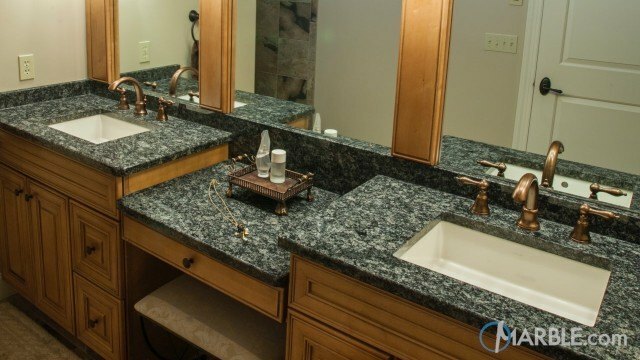 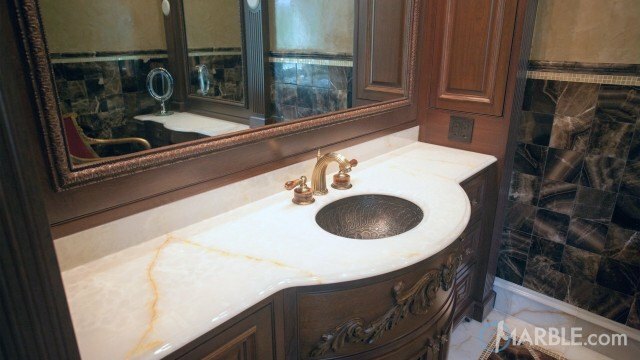 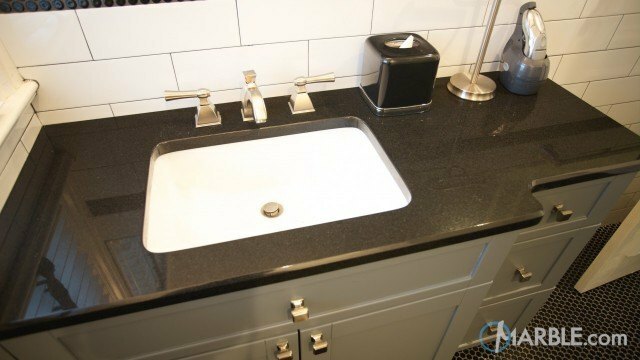 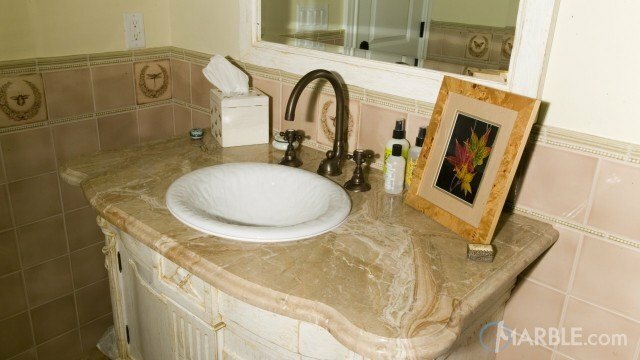 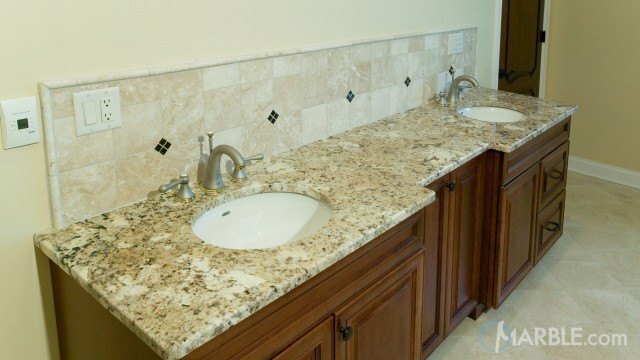 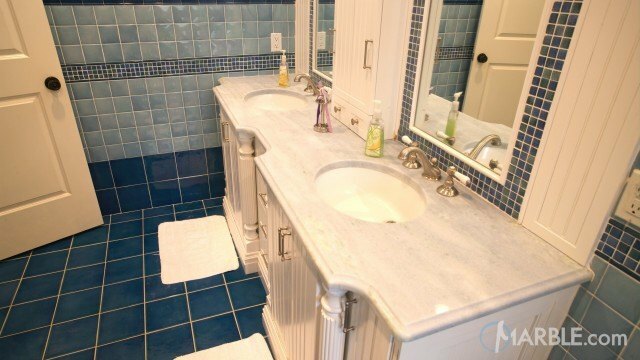 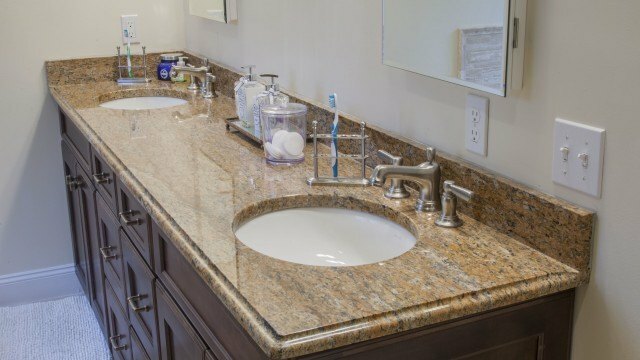 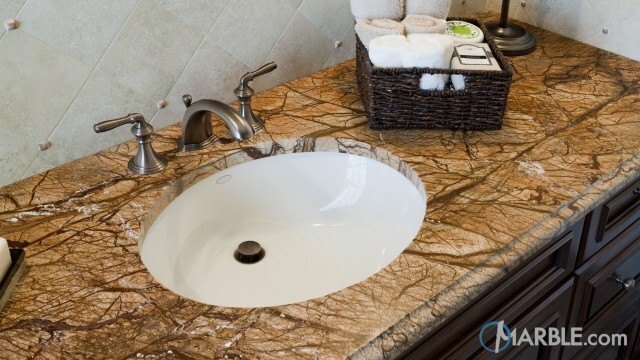 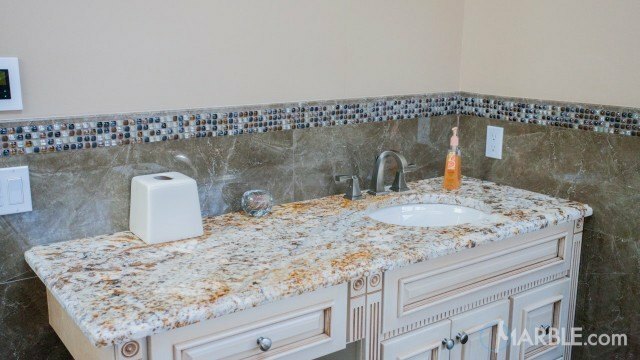 The glossy vanity top features two sinks and sits atop elegant white cabinets. 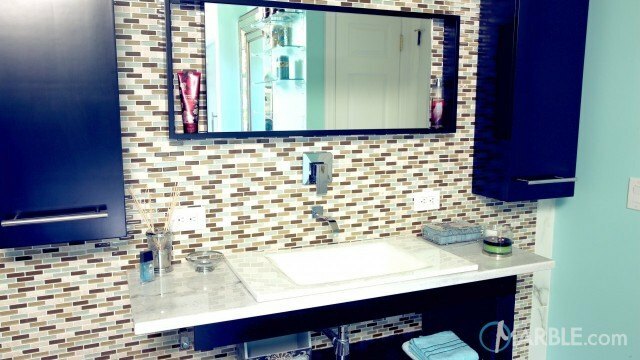 The blue tile on the walls and floor give an easy, clean appearance and the small tiles around the mirrors reflect the awesome design of this space.